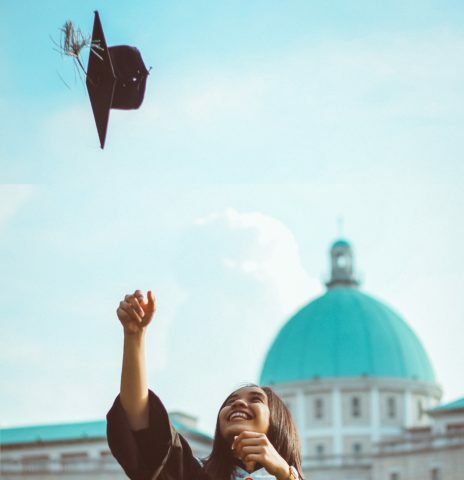 Home › Research › Making the Grade: Does involvement in activities with employers impact the academic achievement of young people? Making the Grade: Does involvement in activities with employers impact the academic achievement of young people? A new research summary, kindly sponsored by LifeSkills created with Barclays, presents findings from a new survey of secondary school teachers, in which they argue employer engagement and work experience are critical to achieving top grades. As governments around the world seek to tackle stubbornly high levels of youth unemployment, new attention has been focused on the relationship between education and employment. Both researchers and policy-makers have looked afresh at the capacity of employers to engage in education and training to improve young people’s preparation for the adult working world. New studies have asked, can employer engagement enhance student educational performance and if so, how? Do employer engagement activities have an impact on the academic achievement of pupils? Which activities have the greatest impacts, and on which type of pupil? Why, according to teachers, do these activities have an impact? Secondary school teachers overwhelmingly believe that employer engagement, careers advice and work experience have a direct impact on improving exam results, our new research finds. Nine out of 10 secondary school teachers (93%) say that work experience and employer related activities can help students to do better in exams. Teachers also said that one in five pupils (20%) in a typical year group today have positively benefitted from these activities in school. The highest percentage of teachers believe that work experience has the greatest impact on improving academic achievement. Teachers also highlighted that careers fairs and careers sessions aimed at challenging ideas about careers and professions were the next most impactful. The data collected for this report indicates that teachers believe work experience is thought to impact the most on all types of achiever, but seems to be most effective for borderline and lower achievers. Teachers believe that assembly talks and careers sessions aimed at raising, broadening and challenging ideas about careers (e.g. gender stereotyping) have more of an impact on the academic achievement of girls rather than boys. Teachers indicated why they these interactions with someone from the world of work motivated their students to study harder. Over half of teachers felt that participating in employer engagement activities can improve academic achievement by improving students understanding of the relevance of education to employment. Teachers also believed that exposure to new role models was also a major driver in improving academic achievement. The results suggest that the relationship between employer engagement and academic achievement might rest most heavily in changing attitudes which emerge from engagements with a working world outside of, and fundamentally different from, the classroom. 9 out of 10 secondary school teachers (93%) say that work experience and employer related activities can help students to do better in exams. Teachers also said that one in five pupils (20%) in a typical year group today have positively benefitted from these activities in school. Successful work experience placements are believed to have the greatest impact on improving academic attainment, with over a quarter of teachers ranking it as their first choice. This is followed closely by employer-led sessions such as career events with employee volunteers. While the sentiment was shared across the state and independent sector, the majority of teachers believed that employer engagement in the most disadvantaged schools had the highest impact. Over half of teachers felt academic achievement can be improved by helping students understand the relevance of education to employment, as well as exposing students to new role models through employer engagement. Making the Grade builds on previous research published earlier this year from Education and Employers and LifeSkills which found students are 86% less likely to become NEET if they experience four or more contacts with employers before leaving school. The same research shows young people with higher volumes of encounters with the world of work will benefit from a wage premiums of up to £3,500. See the research on the Lifeskills created with Barclays website.